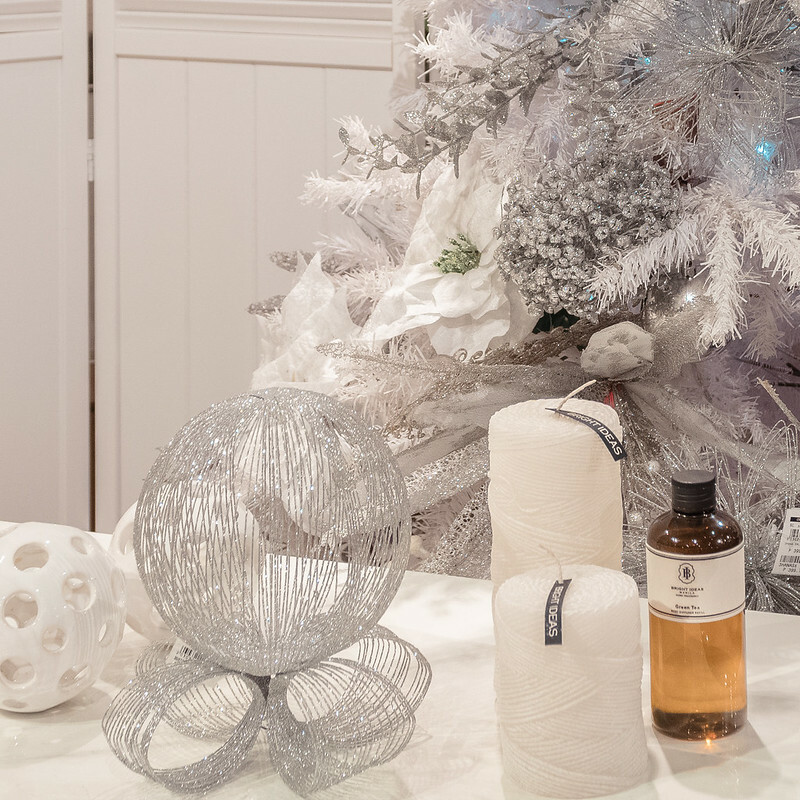 The holiday season isn’t complete without a festive home to welcome your guests with. If you’re seeking inspiration, look no further. 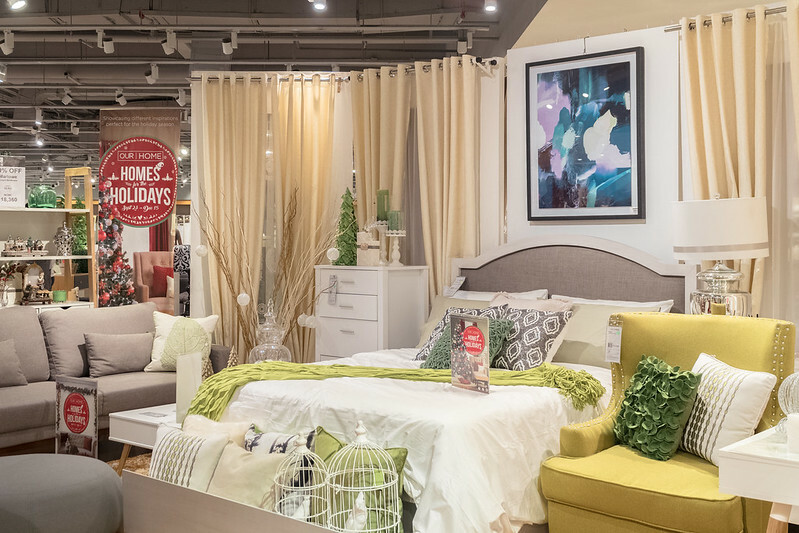 Our Home has teamed up with PSID for an in store exhibit which features beautifully decorated rooms in different styles that range from the Industrial to the Neo-Baroque. 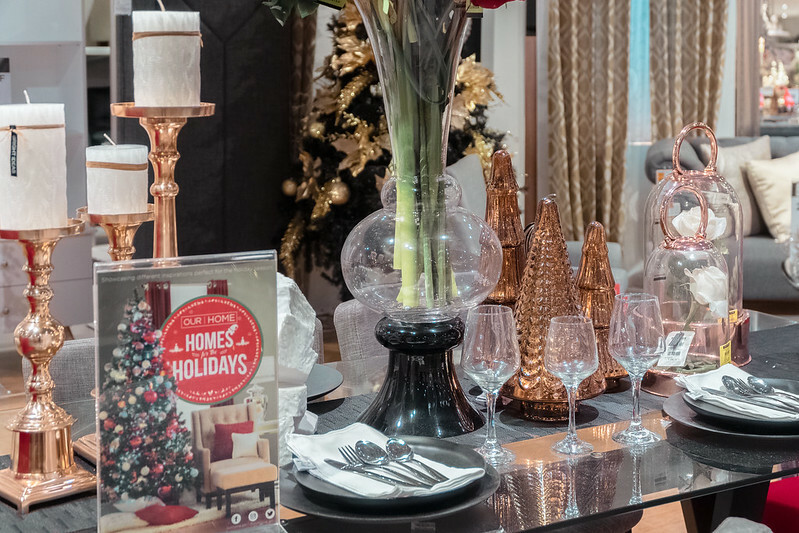 From luxe table displays to entire room transformations, there are several vignettes on display that are sure to spark your imagination. The icing on the cake? 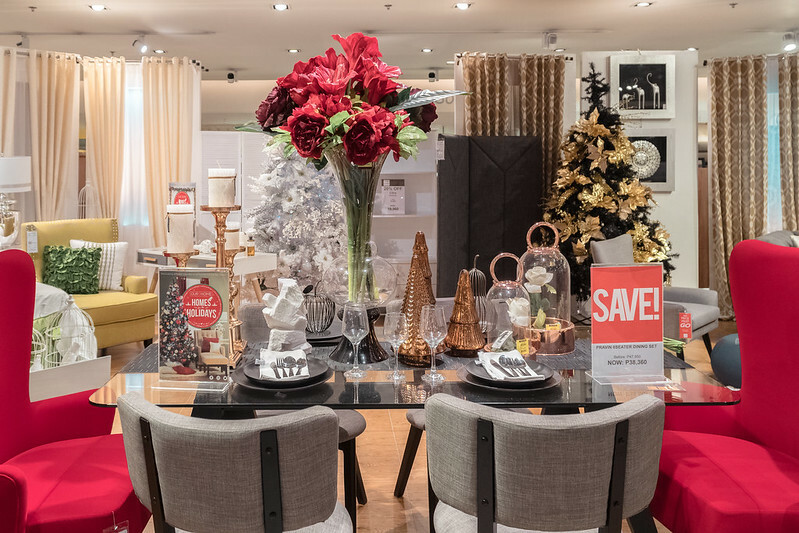 Almost everything is currently on sale so you can impress your guests without putting a dent on your pocket. 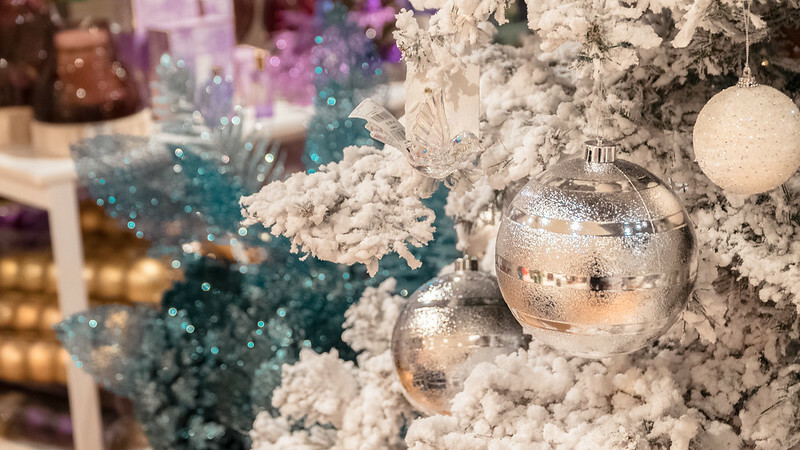 DO LOOK FOR: Oversized gilded candelabras and crystal jars which can double as potpourri/Christmas balls or candy table top containers. DO LOOK FOR: Affordable scents and candles by Bright Ideas. 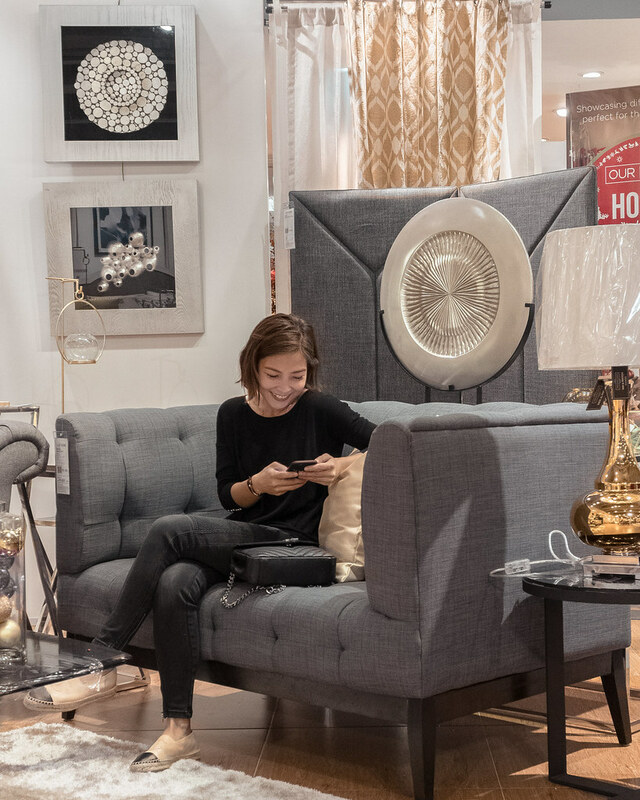 If you’re looking to update a space in your home, make sure to check out the different exhibits which are centered around the neo-baroque, contemporary and industrial design styles. For those who appreciate glamour and old world design, delve into the world of neo-baroque which is a modern interpretation of the 17th century’s elegant look. 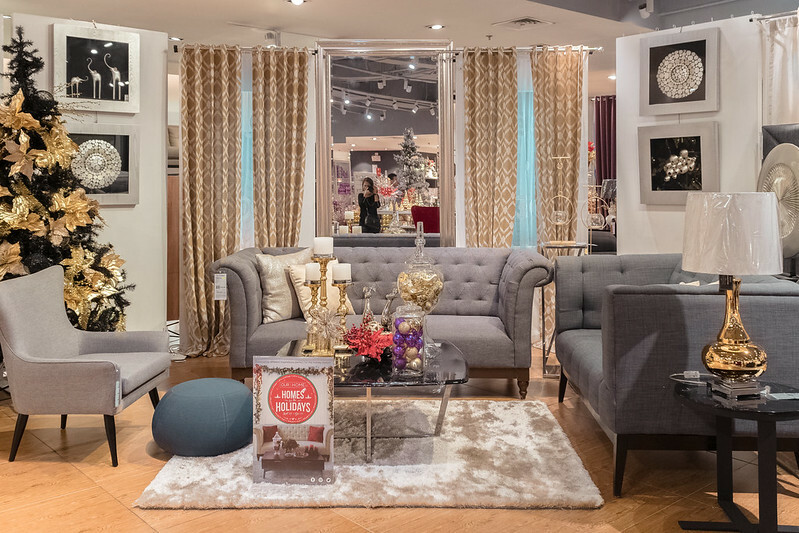 The vibe is feminine, posh and luxurius. 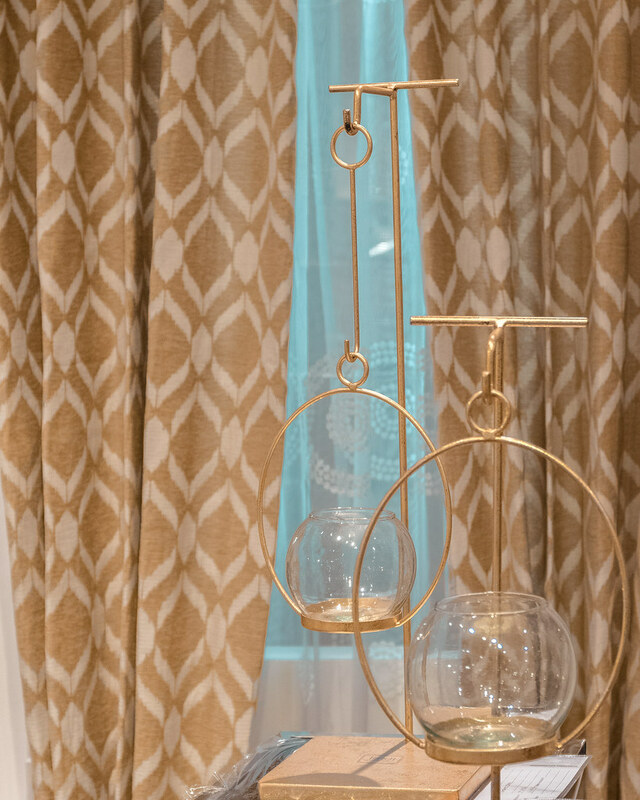 DO LOOK FOR: textured fabrics, leather punctuated with tufting in geometric patterns, gold, silver and mirrored accessories. 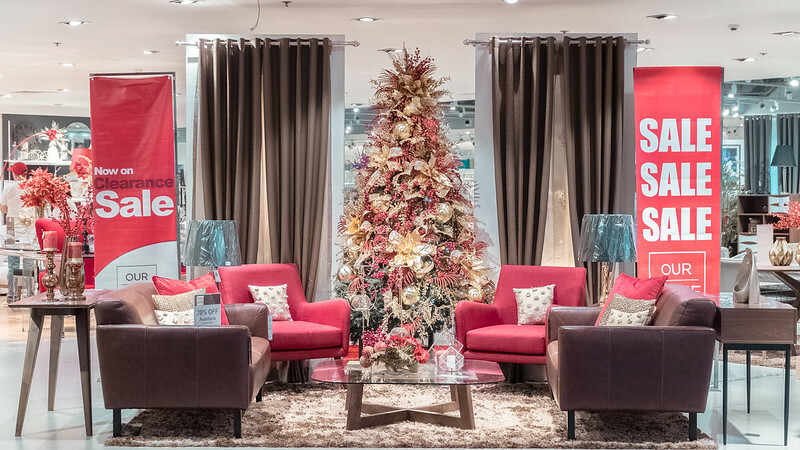 If you find yourself leaning more towards clean and timeless designs, check out the CONTEMPORY DISPLAY which is made up of classic furniture pieces which will stand the test of time. DO LOOK FOR: Neutral colors in clean lines with a minimal feel + furniture with glass or stainless steel finishes combined with light wood. For something a little bit more low-maintenance, rustic, homey and unisex, the Industrial look with its hip New York loft vibe is perfect for you. 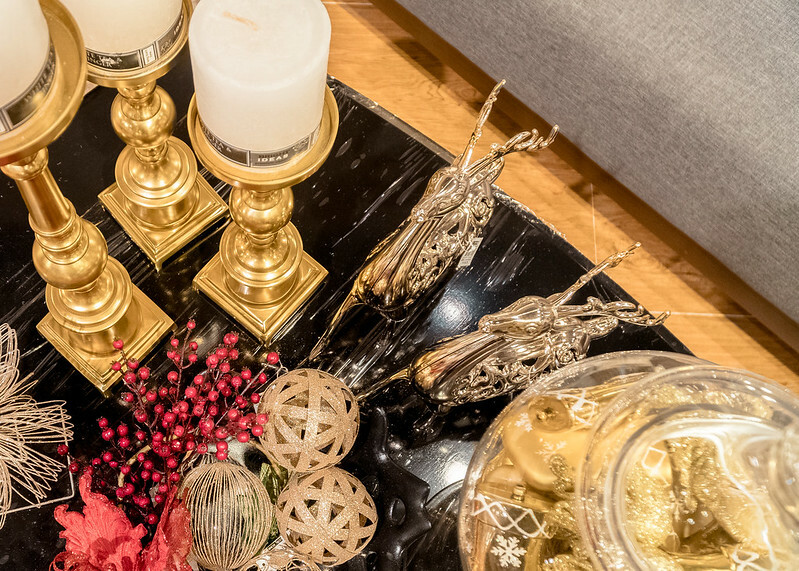 This trend centers around pieces that invite you to feel, touch and experience the space with its combination of rough surfaces, warm leather and wrought iron accents. The vibe is homey but never cluttered. DO LOOK FOR: Standout pieces in dark wood and warm leather. 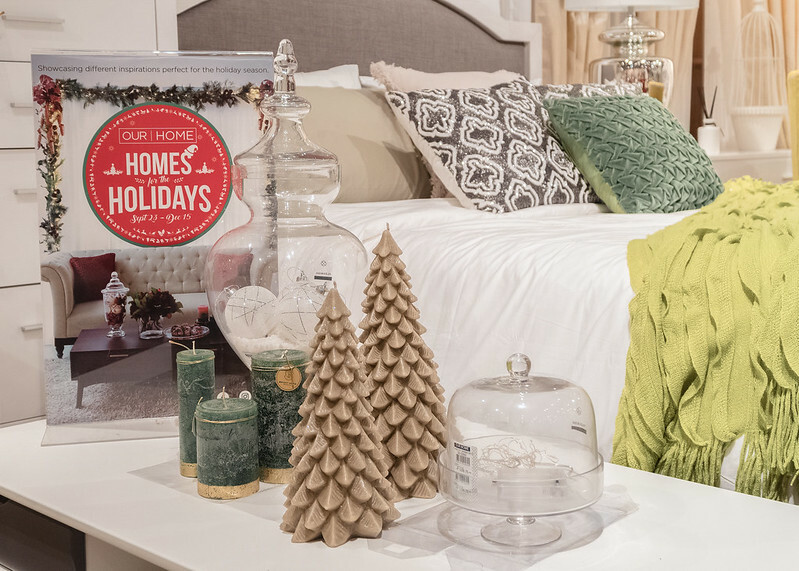 Create your perfect home this Holiday Season with Our Home!